Sorry... the 2017 Nissan NV200 is no longer being sold as new. Instead, take the first step to a great deal on 2019 Nissan NV200 with a free price quote! 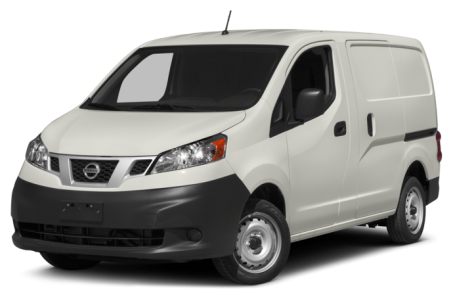 The 2017 Nissan NV200 is a compact cargo van for city-friendly driving. It competes with the Ford Transit Connect, GMC Savana Cargo, and Chevrolet City Express. The NV200 has a sloping, angular front-end that offsets its overall boxy design. It features sweeping curved accent lines throughout its exterior, giving it an agile appearance. Standard features include 180-degree 40/60-split rear cargo doors and 6 roof rack-mounting points. Power/heated side mirrors, body-color matching, privacy glass for the passenger-side and rear, and unique 15-inch wheels are optional. The NV200 is powered by a 131-hp, 2.0-liter 4-cylinder engine mated to a continuously variable transmission (CVT). Fuel economy is rated at an EPA-estimated 24/26 mpg city/highway. Inside, the NV200 has a standard gray cloth interior. It features a unique, mobile office-style center console, which includes a fold-down desk and storage for file folders and a laptop. Air conditioning, 20 integrated reinforced cargo-mounting points for custom shelving, and a multi-functional trip computer come standard. Optional features include an integrated navigation system, satellite radio, Bluetooth connectivity for phone and audio, a USB port, 6 floor-mounted d-rings, remote keyless entry, and cruise control. Standard safety features include front air bags, antilock brakes, an electronic stability system, and a tire pressure monitoring system. A backup camera, a rear window defroster, and panic alarm are available. 3 of 5 (60%) consumers said they would recommend this vehicle to a friend.